Days before Hari Raya Aldilfitri, I received a surprise pink box package at home via Nationwide courier service ! And it's the Fabulous Finds Beauty Box that was launched last month! 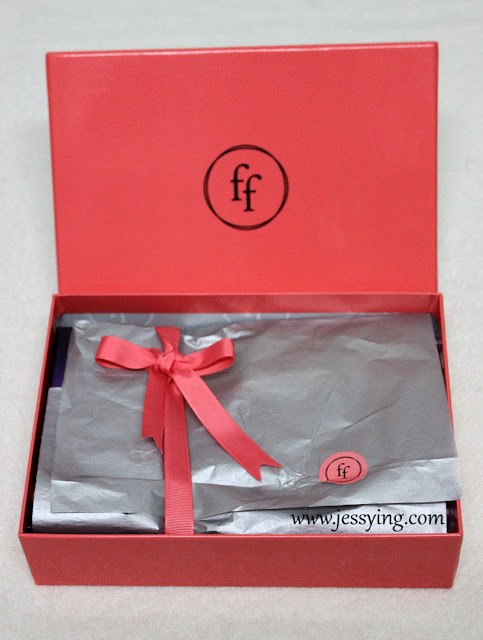 So here I'm going to un-box my August Fabulous Finds Beauty Box to show you & review it! Fabulous Finds shipped out their beauty box to their customers every 15th of every month via Nationwide Courier service and I received it 2 days after that. I must said I'm very happy with the Nationwide courier service because the courier man took extra effort to called me to pick up at my gate when my door bell don't work and that my pink Fabulous Finds Beauty Box came in excellent condition! 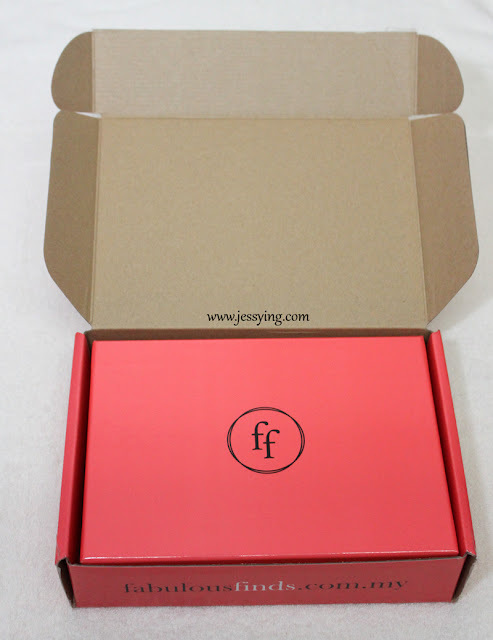 It is nice to see Fabulous Finds (FF) took extra effort to put our monthly beauty box in another bigger pink box to protect it before sending it out to us. And I do treasure the pink box & now using it to store my overloading cosmetics! 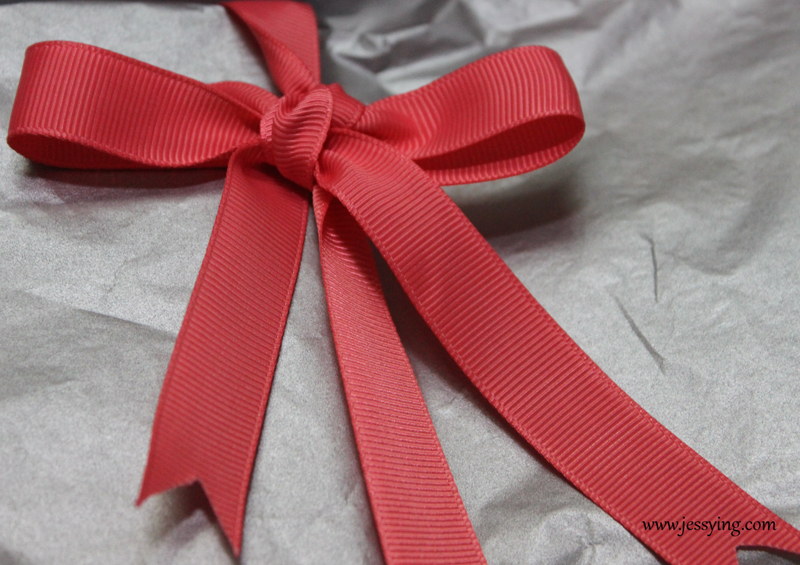 When I opened Fabulous Finds Beauty Box , I saw my beauty surprises is nicely wrapped with pink ribbon! If you read my previous post, I like how Fabulous Finds pledge to give back to the society i.e creating income for the women of disadvantage backgrounds. It's for good cause, enough said! 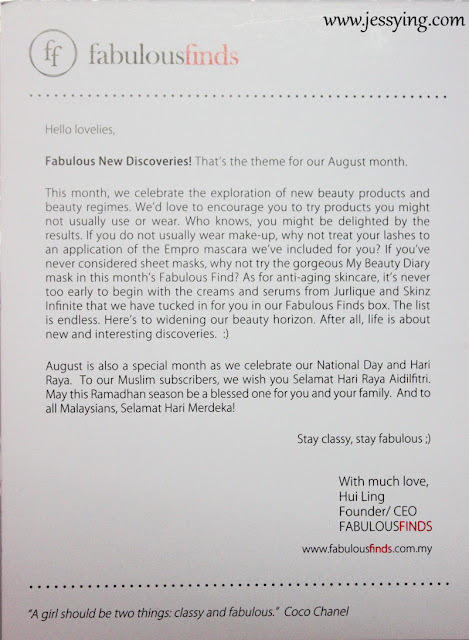 So let's take a peep what is in the August Fabulous Finds Beauty Box! Tadaa.. I was pretty happy to see some full sizes in this month Fabulous Finds Beauty Box! This anti-aging serum kick-starts skin cell's self-renewal process, reversing signs of premature aging. I have tried Skinz products but not this serum. Am looking forward to give this a try! Dual-coloured mascara, to lengthen and accentuate your lashes. 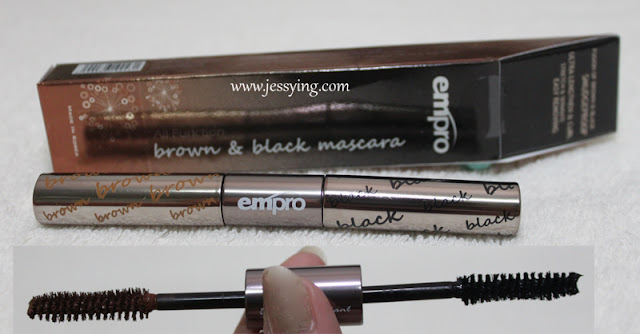 Glad to see this here, a big fan of mascara & I have quite like the previous Empro mascara and review them here .I don't really have brown mascara so I shall try this and see if I like this as well. A lightweight moisturizing cream with high performance botanical and plant oils, to minimise the appearance of fine lines. To be honest, I have tried any of the Jurlique products yet. I don't know why and well this is a good chance for me to give a try! And 15ml is almost half a size of original size, good to try for few good time! 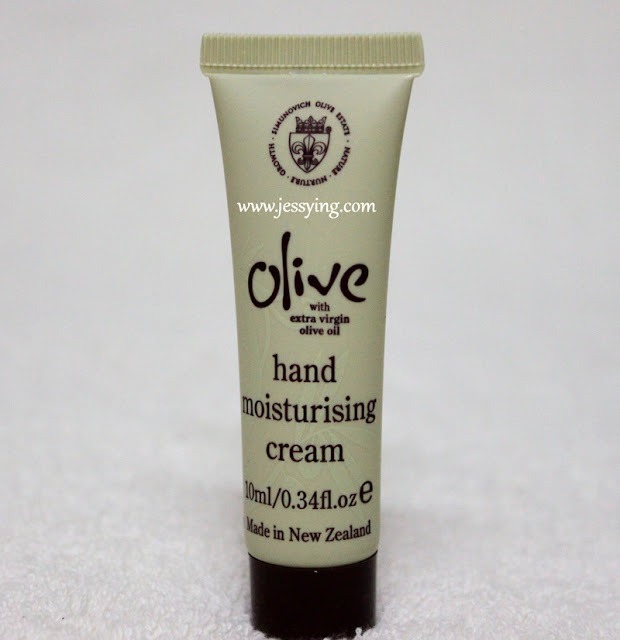 Combining natural plant extracts with extra virgin olive oil and spring water, this hand cream will help hydrate skin, revitalising its appearance. 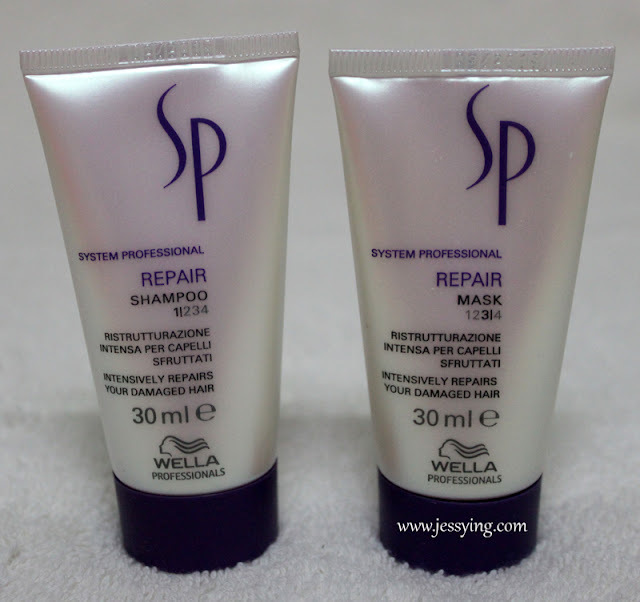 This shampoo and mask intensively restores damaged hair and protects against further damaged. I have tried this before and I kinda like this, definitely will bring this when I'm going away for a short trip or holiday! A captivating fruity floral scent with notes of raspberry, rose, violet leaves, cedarwood, musks, peonies and magnolias. 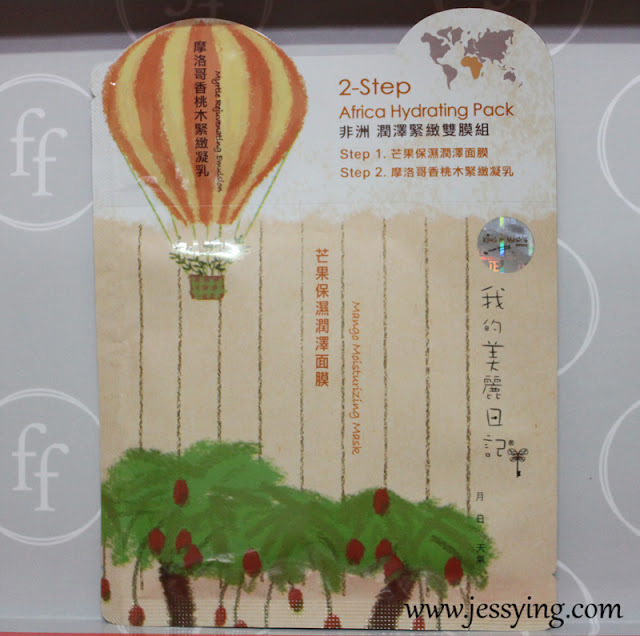 Luxuriate in beautifying properties of this 2 step mask pack. A super big fan of masks and this is my favourite in this beauty box. Ah best of all I haven't try this and happy to get opportunity to try this! Shall be thinking when to use this both! 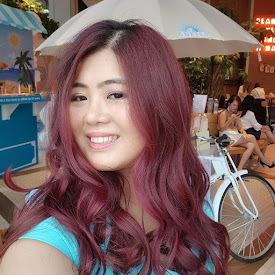 Besides all the beauty goodies I got in Fabulous Finds Beauty Box, I love receiving "Love Letter" from Hui Ling, a personal touch to all FF subscribers! 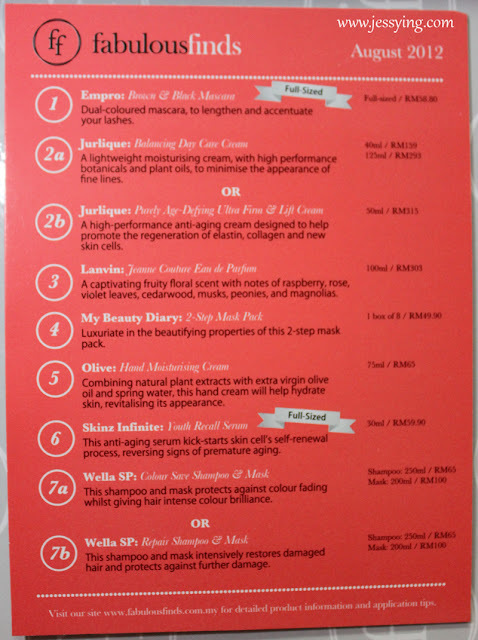 I also like how Hui Ling included the list of details & price list of each products that we received! So convenient at least we do not need to google to find out the price. Overall review : I am quite happy with August Fabulous Finds Beauty Box. 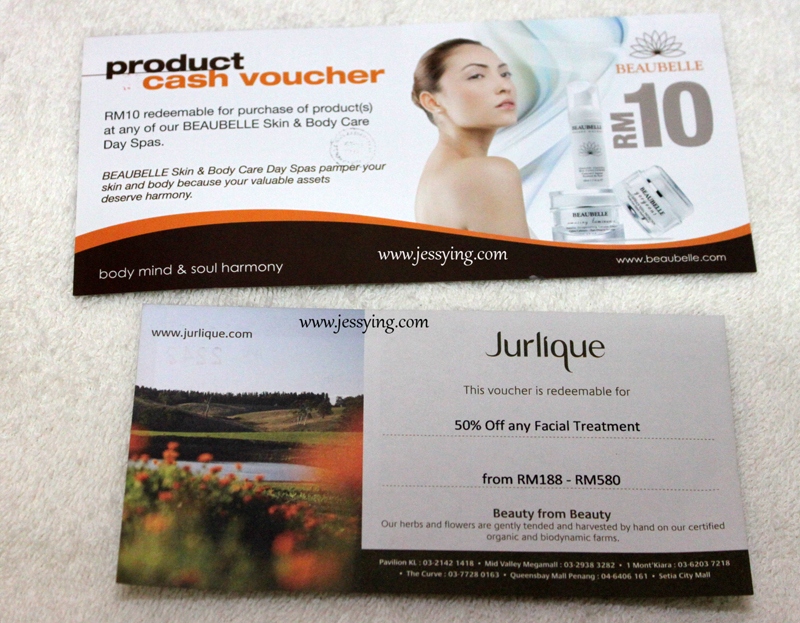 I would say with RM 35 subscription , we are getting RM 221.90 worth of products + 2 discount vouchers. I like the product choice which included from high end to niche brand and most of the stuffs included here I have not tried before. Not just that, I like how the delivery is punctual and packaging is prettily packed in pink too! So I am total recommending this to everyone who loves receiving beauty surprise at doorstep!